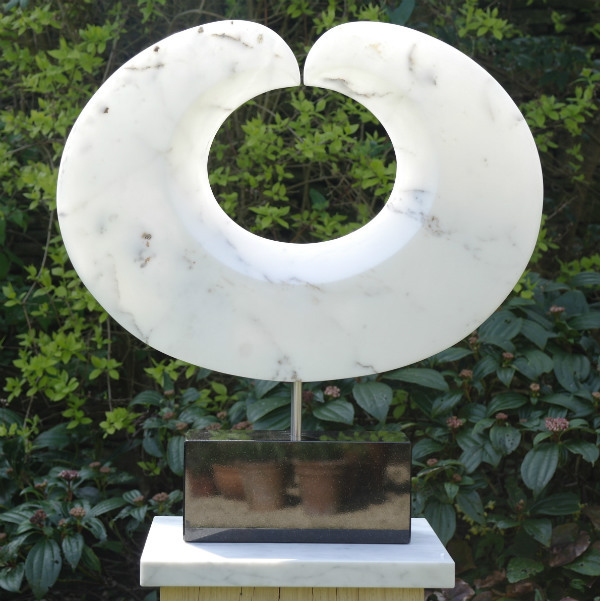 I have worked as a sculptor and stone-carver from my studio in the Cotswolds for the last 12 years. My work is mostly abstract, concentrating on shape and form. Previous work in marble explored its fluidity aiming to make it appear malleable and pliable as if it has been gently coaxed and twisted into shape. Each new piece tends to be a progression from the last and is both a challenge to myself and the marble - I challenge myself to work with it thinner and finer, investigating the translucency that can be achieved. Most of my work exploits the whiteness of my favourite Carrera marble and I aim for a perfect smooth surface that begs to be caressed and stroked. My work has been exhibited nationally and is held in private collections throughout the UK.